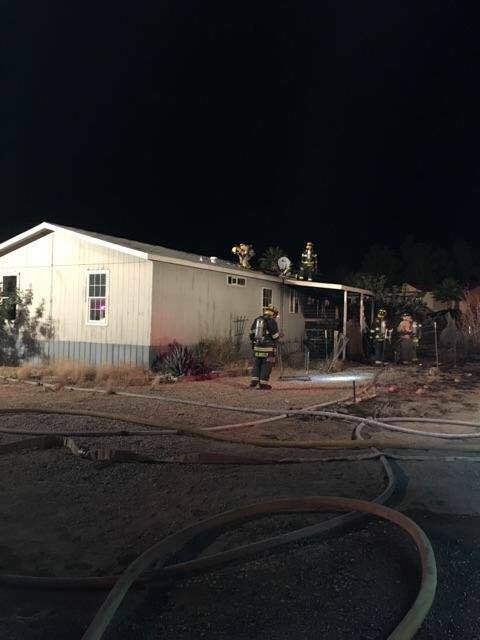 ST. GEORGE – A manufactured home in Beaver Dam that originally caught fire on Sunday caught fire again late Wednesday night. 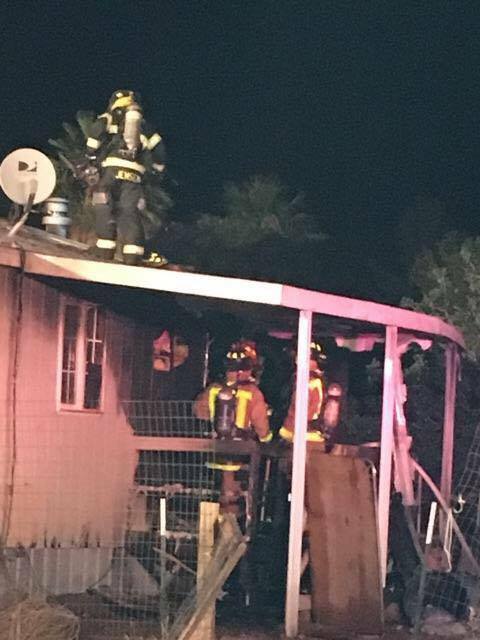 Around 11:30 p.m., Arizona time, a firefighter with the Beaver Dam-Littlefield Fire District noticed fire coming from the roof of the trailer home and alerted fellow firefighters. A fire team was quickly put together and the fire was subsequently extinguished, Beaver Dam-Littlefield Fire Chief Jeff Hunt said Thursday. While the cause of the rekindled fire is unknown, Hunt said a part of the original fire may have been missed and smoldered unseen for a few days until it reached something ignitable. 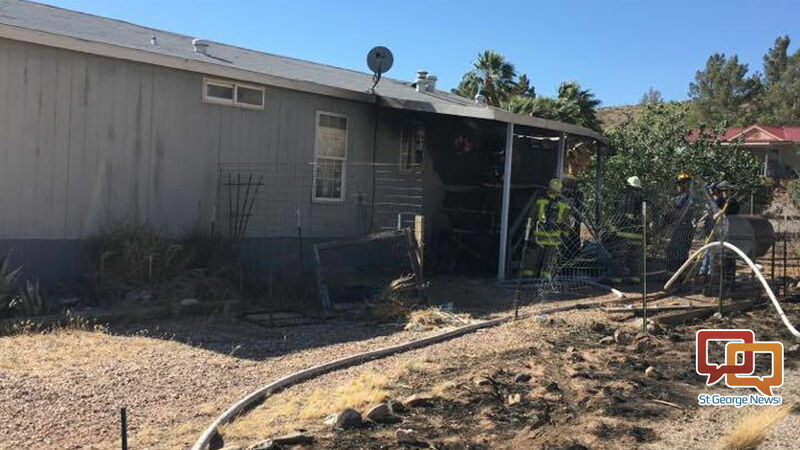 The original fire was the result of a fire escaping a burn barrel and igniting a brush fire that reached to nearby Colby Lane where the trailer home is located. The fire was able to get into the structure and into a part of the roof and a laundry room before being put out, Hunt said. Wednesday night’s fire flared up in the roof and reached into a part of a bedroom this time, Hunt said. 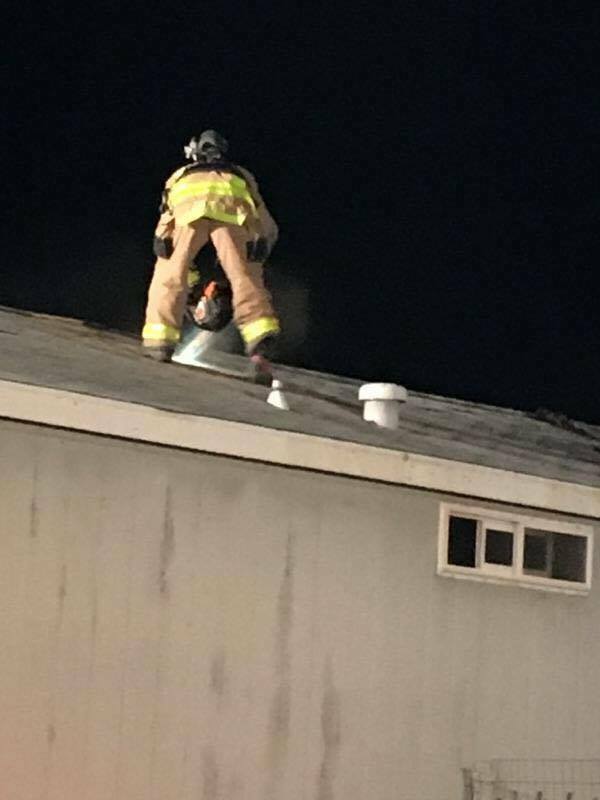 Firefighters also had to cut holes in the roof in order to make sure the fire was out completely, he said. A woman who had been renting the trailer has been displaced as a result of the original fire, he said. 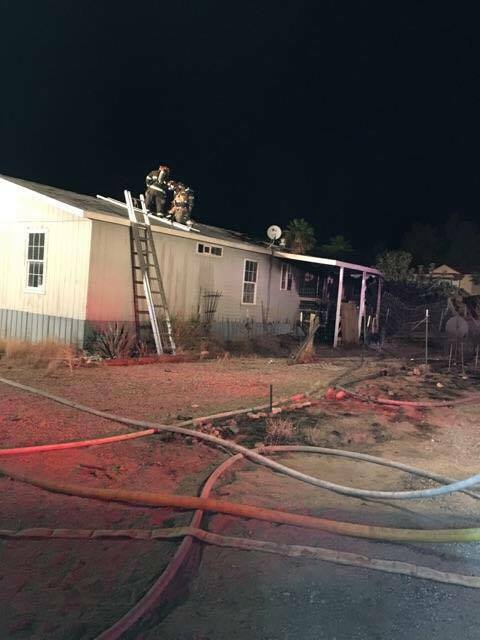 Fire units out of Bunkerville and Mesquite also responded to the scene as the three fire agencies routinely aid each other on fire calls. The rekindled fire adds to a list of multiple fires that the three agencies have responded to since the spring, Hunt said, estimating they’ve rolled out to 10 or so structure fires within the region thus far. Most recently they’ve been dealing with recurring fires in Bunkerville. “It’s just been crazy this spring,” Hunt said.